"The pictures are a veritable feast. However, all this is a trifle compared to the vast amount of painstaking and careful scholarship of which every page in the book gives evidence" wrote a reviewer when the first limited edition of this volume was released in 1951. This edition is now published in response to the persistent demand from students and scholars, with some added material in the text and re-arranged photographs. 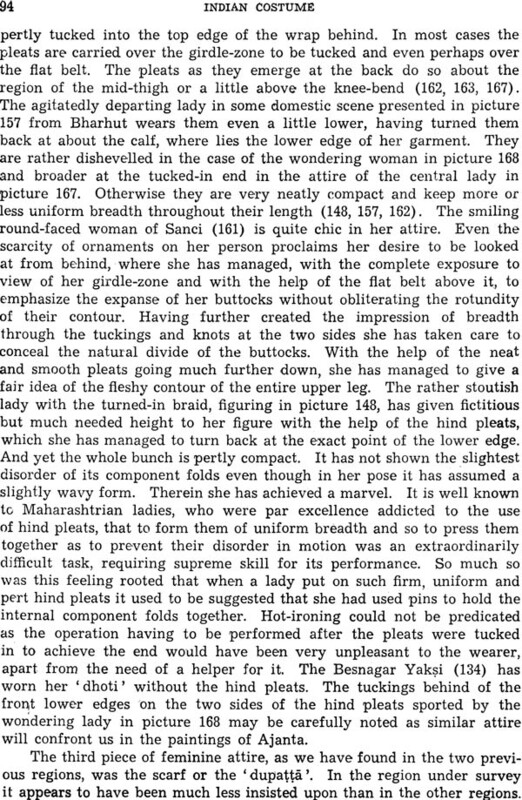 George Bernard Shaw observed that dress was to woman an important weapon in her armoury of seduction, and that she fully utilised its potentialities. Dr. Ghurye, the renowned sociologist, substantiates Shaw's opinion. He goes further and points out the parallel use of clothes by the men folk of India in order to show themselves to advantage. 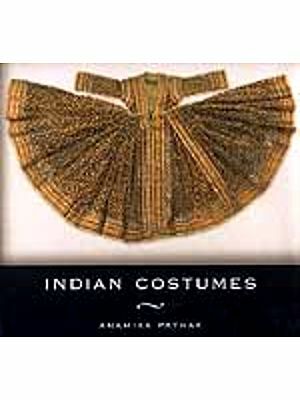 This invaluable book presents a consistent account of the dresses of India from the Vedic to contemporary times. It is enlivened by the use of literary data, drawn from classical as well as folk literature. Dr. Ghurye explains numerous varieties of costumes found in India with a archaeological and other sources. The author has also given in the introduction to this treatise a brief story of the unravelling of the importance of costume in the European society. The sociology of costume, which conditions its psychology, as revealed here, whets one's appetite for sartorial knowledge. This work, considered by most of the outstanding social scientists of the world as the renowned author's magnum opus, affords the reader not only an insight into the past and the present diversity of the dresses but gives him adequate data for the evolution of the Indian national costurm. Prof. Govind Sadashiv Ghurye (12th December 1893-28th December 1983), a pillar of Indian sociology, had a many-faceted career as a post – graduate professor, author, research scholar and guide and educationist. After his Doctorate from Cambridge, he joined the Post-Graduate Department of Sociology of the University of Bombay as Reader and Head in 1924 and retired in 1959. A few months later he was honoured as the first ever Emeritus Professor of the Bombay University. As a research guide for about 45 years, he guided 80 these – probably a record. His research pupils include eminent scholars like M.N. Srinivas, K.M. Kapadia, A.R. Desai, Y.B. 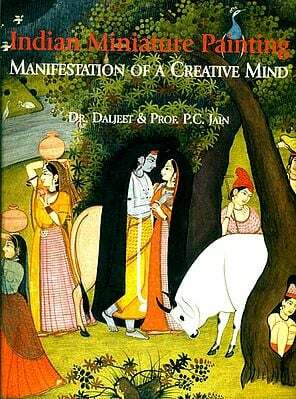 Damle and M. S. A. Rao. Ghurye is indeed, the gurus' guru. Ghurye authored 30 highly scholarly books and many papers covering an enviable range of topics from Rigvedic India to rural India and from foundations of culture to the sociology of costume. His vision was encyclopaedic. And his spirit that of a path-finder. His single handed contribution to the growth of Indian sociology and its professionalisation stands unexcelled today. Costume, whatever might be its origins, provides the visible index of the homogeneity and the unity of a people or their absence. Two Japanese in their national costume, hailing from places widely separated in their own country, on seeing each other at a distance. in the streets of London will feel the sentiment of oneness much before they have a chance of exhanging a word. Language as evidence of unity takes rank after costume. One has to be within speaking distance of another to get aware of his linguistic affiliation. In most civilizations costume connotes some- thing more than mere clothing. Very often it expresses some of the structure and aspirations of a society. In modern occidental civilization it has grown into something more than a mere accessory designed to set off physical beauty. Costume has been functioning as a fashioner of personality and has tended to be cultivated as an art. Study of so important a trait of culture in the history of a civilization, which has proved itself to be one of the stablest, should be both interesting and instructive. To my countrymen the book has an additional appeal. They will find in it enough food for thought about the past and present diversity of dress and adequate data for the evolution of a national costume. I am thankful to Dr. G. R. Pradhan, Dr. Mrs. C. A. Hate, Dr. M. N. Srinivas, Dr. I. P.Desai and Dr. A. J. Agarkar, who, during their tenures as Research Assistants in Sociology, enabled me to clarify a number of details through their field – work. Kr . L. N. Chapekar, the present Research Assistant, has kindly added the index. Mr. Terence Nunes of the Gem Printing works deserves praise for his neat and prompt work. 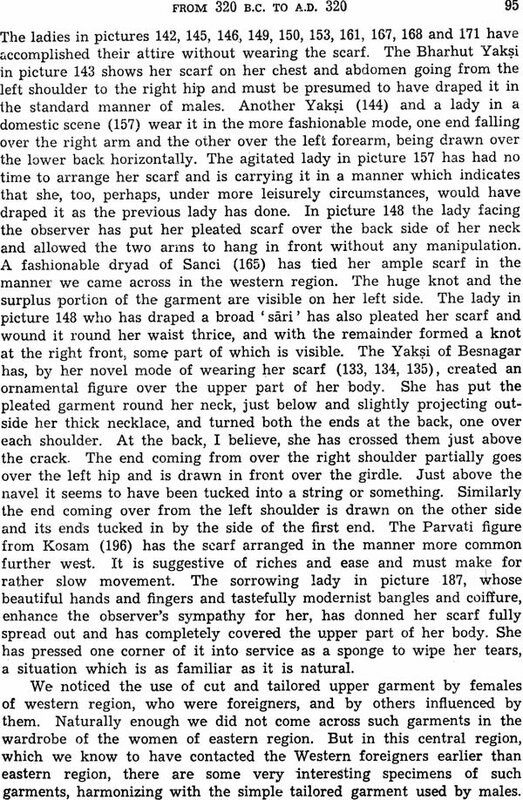 On a number of knotty points, whether of interpretation of drapery seen on the pictures or of clarification of sari drapery current in recent and contemporary times, my wife has been valuable guide. The design on the jacket is my daughter's epitome of the book painted by herself.